JO H2O for Women is a water-based personal lubricant designed to supplement a woman’s natural feminine lubrication. This silky smooth comforting glide is never sticky or tacky and rinses off easily with just water. Formulated using a purely plant-based glycerin, this highly recommended lubricant was created just for women to not disrupt natural PH or cause any irritation. 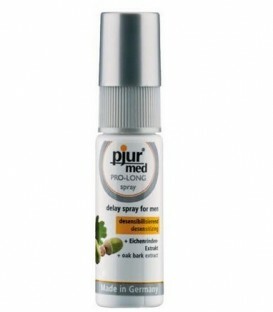 With an easy to use spray nozzle, this lubricant is non-mess and long-lasting.